The watches are waterproof to 30 meters, include standard chronograph features and showcase the revolutionary SureShot ballistic calculator. A uni-directional bezel to help mark your time and chargeable luminescent markings. The titanium watch comes with rubber and leather bands. We’ve partnered with Horus Vision, makers of proven long-range ballistic software, to bring their technology to your wrist. Input your known ballistic data (bore height, ballistic coefficient, muzzle velocity and zero range), then add your environmental data (range, temperature, altitude, inclination) and the SureShot calculator will give you a shooting result in MILS, TMOA or SMOA. 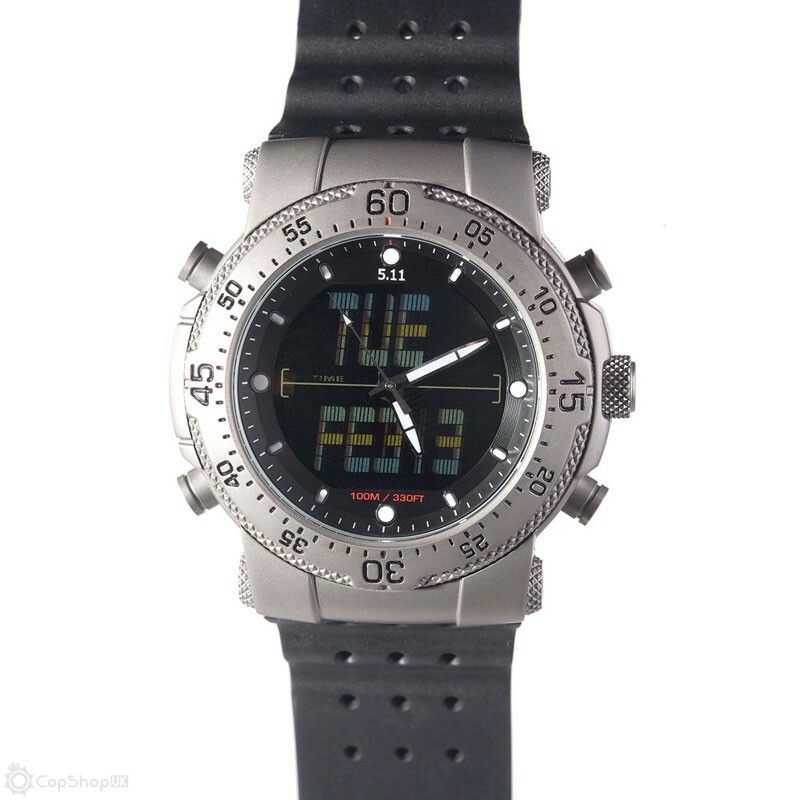 Day, date, second time zone, alarm, chronograph (1/100th, lap time), countdown timer, and hourly chime. Other features include a unidirectional bezel, and chargeable luminescent markings. The watch is waterproof to 100 meters (330 feet).